Breaking: RIM Co-CEO Jim Balsillie responds to Steve Jobs comments made during Apple earnings call! 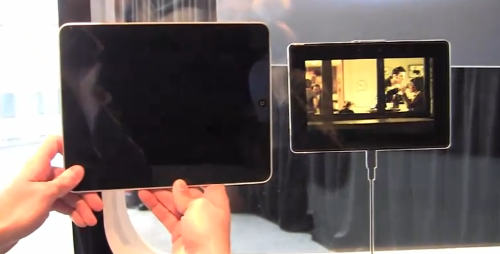 left: Apple iPad; right: BlackBerry PlayBook... the tablet wars are heating up! It looks like the tech game is starting to turn into a bit of a tech soap opera thanks to El Jobso. Following up yesterday's comments by Steve Jobs dissing 7" tablets, Research In Motion's Co-CEO Jim Balsillie has fired back. Nicely said Jim. I like that RIM isn't taking any of this crap sitting down and is firing back. Anybody want a used iPad? I don't think I want mine anymore... I can't wait for RIM to release the BlackBerry PlayBook!